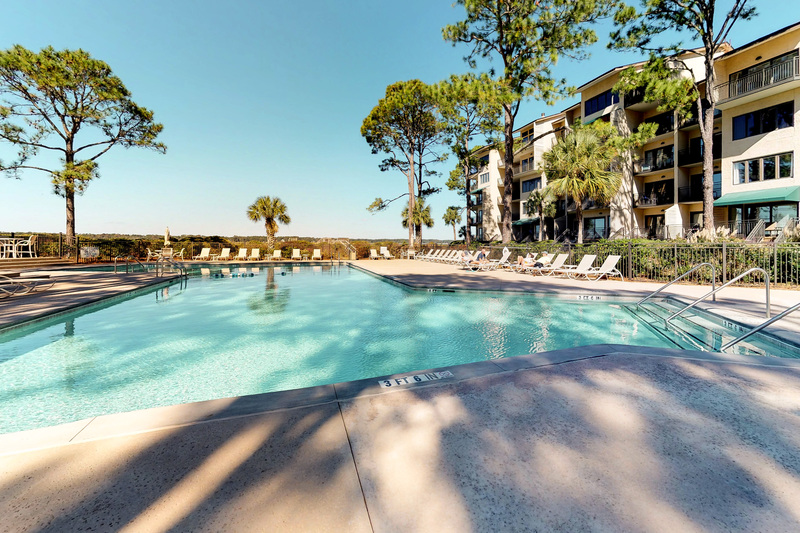 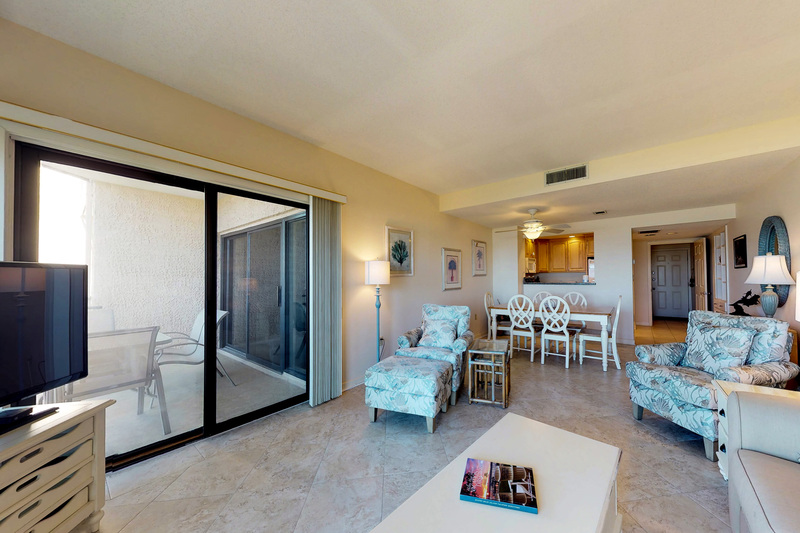 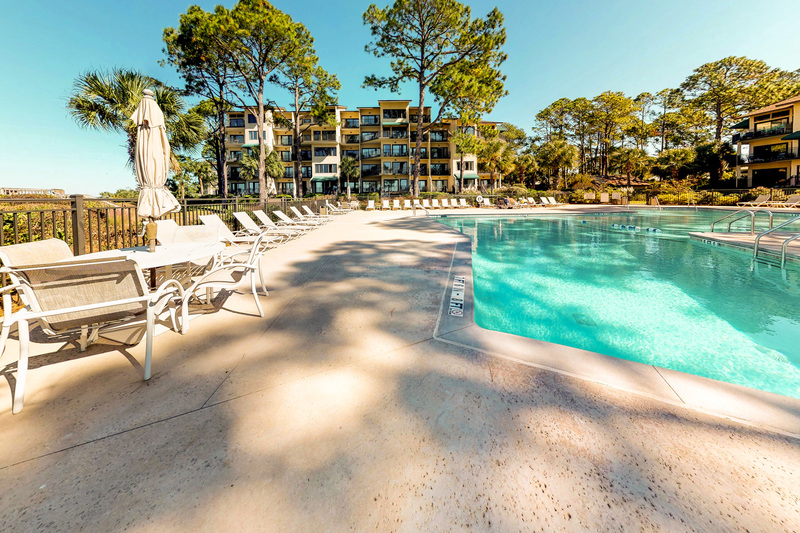 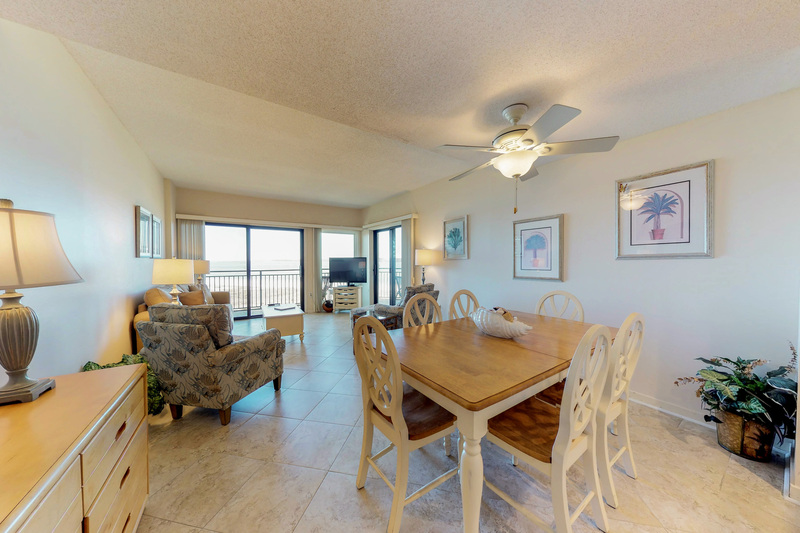 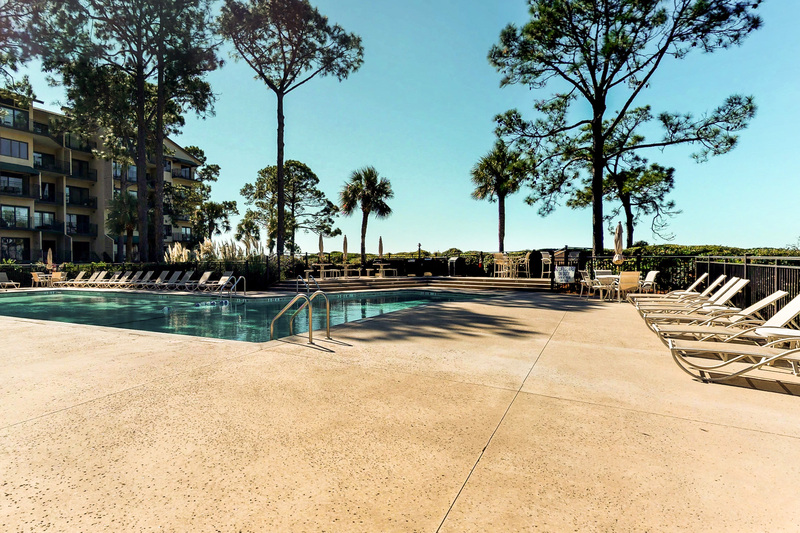 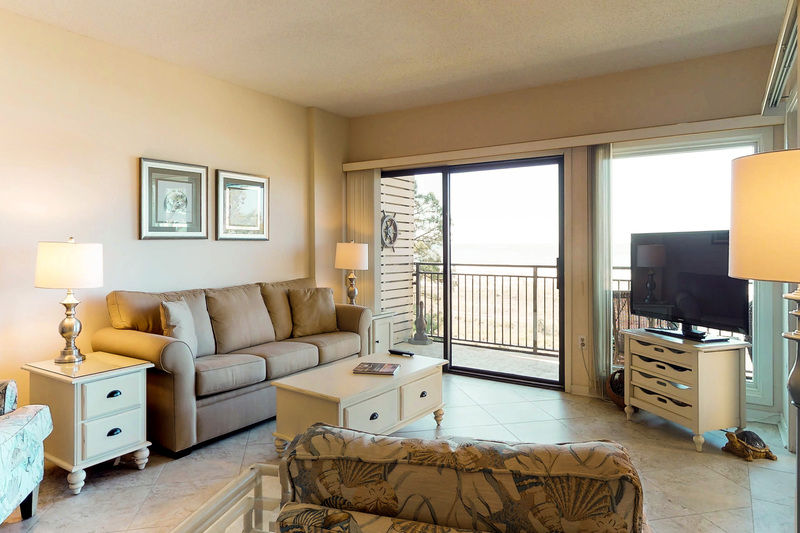 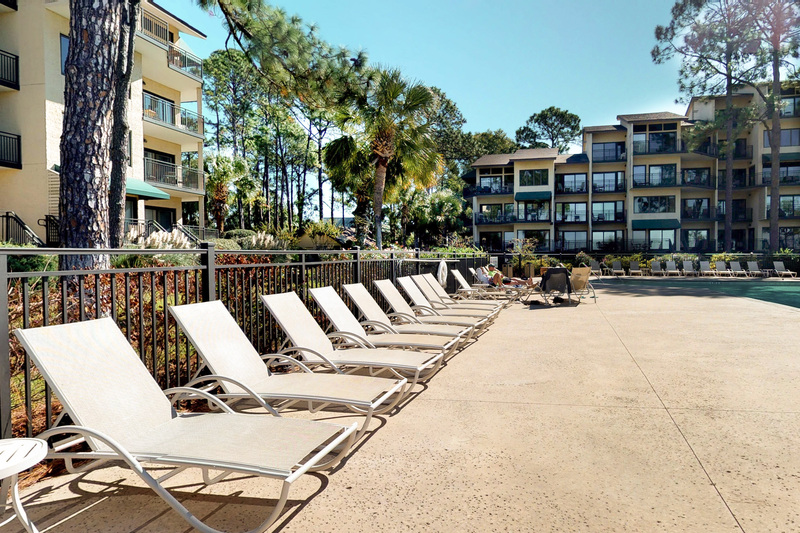 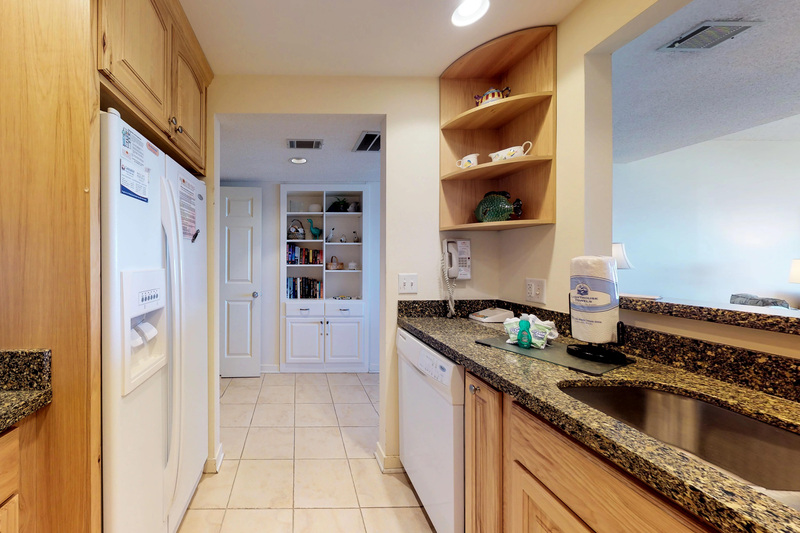 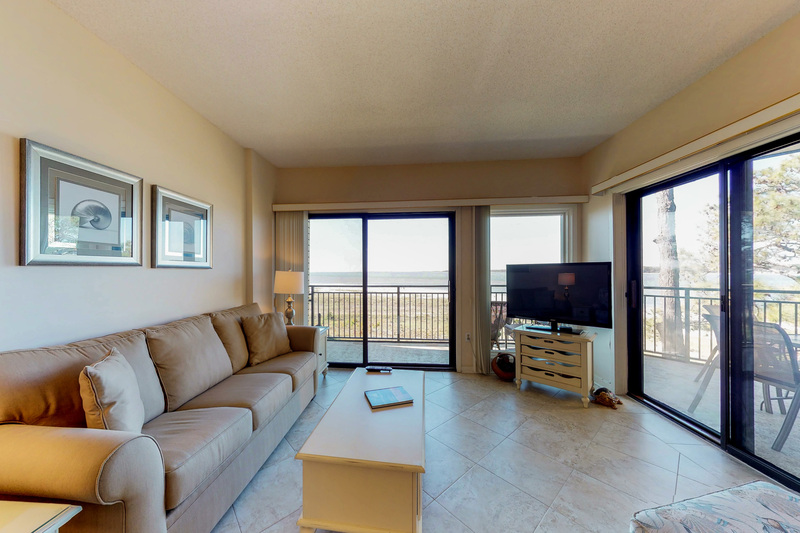 1842 Beachside Tennis is a fourth floor unit of the five-story North building. 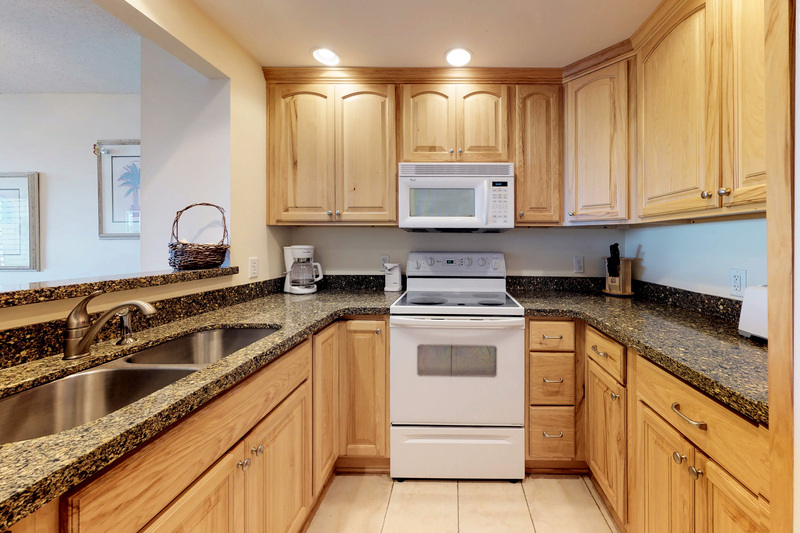 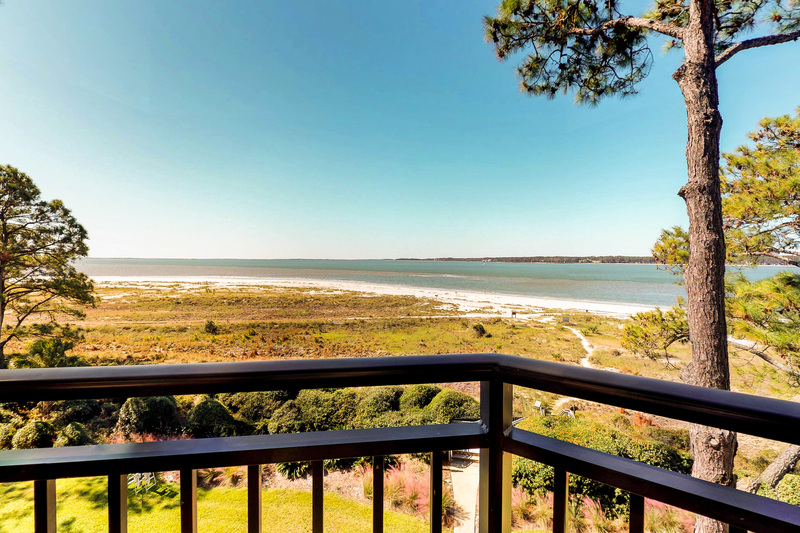 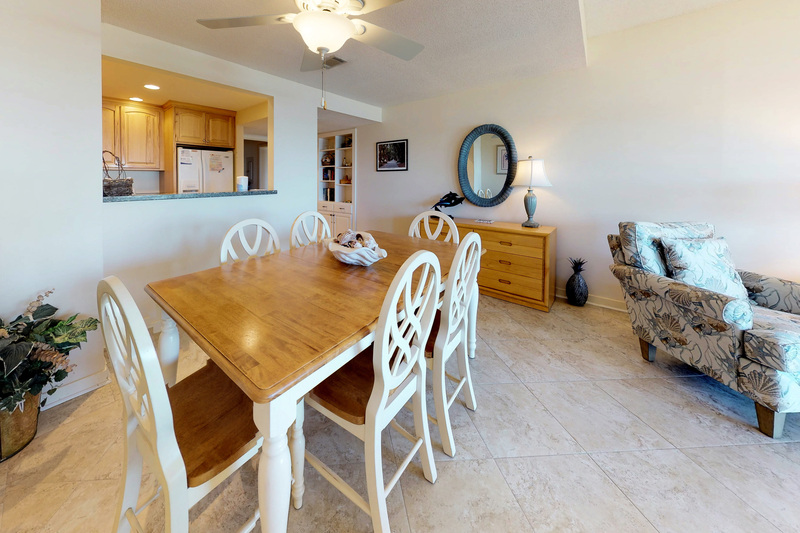 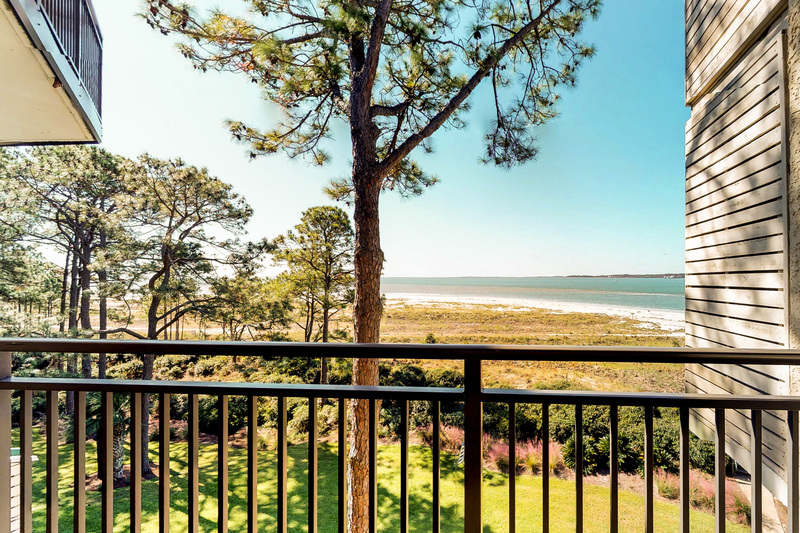 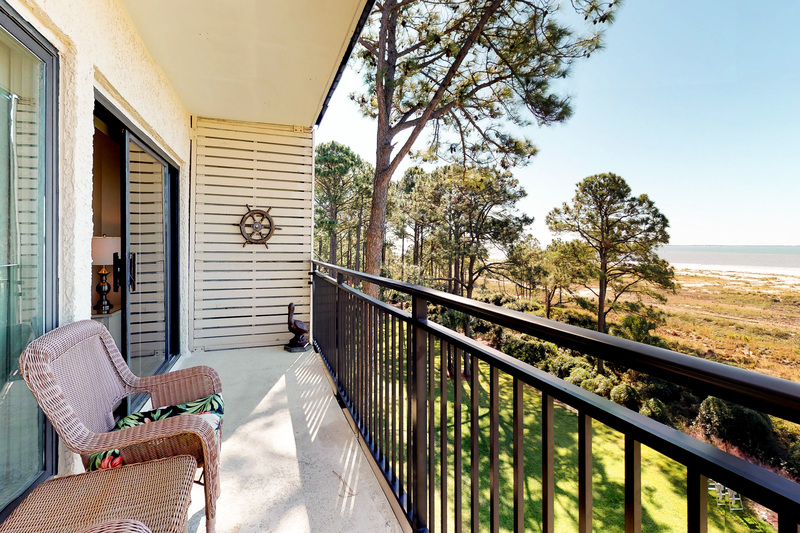 This villa features an open living space with access to a balcony that provides panoramic views of Calibogue Sound. 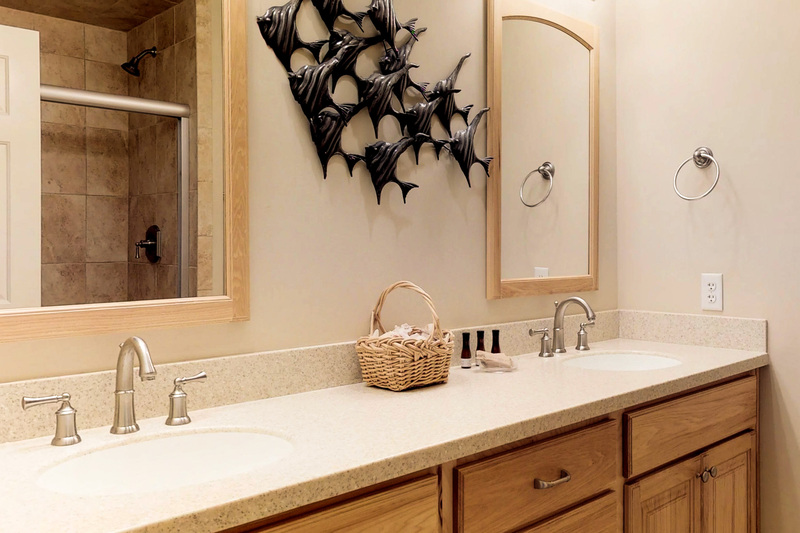 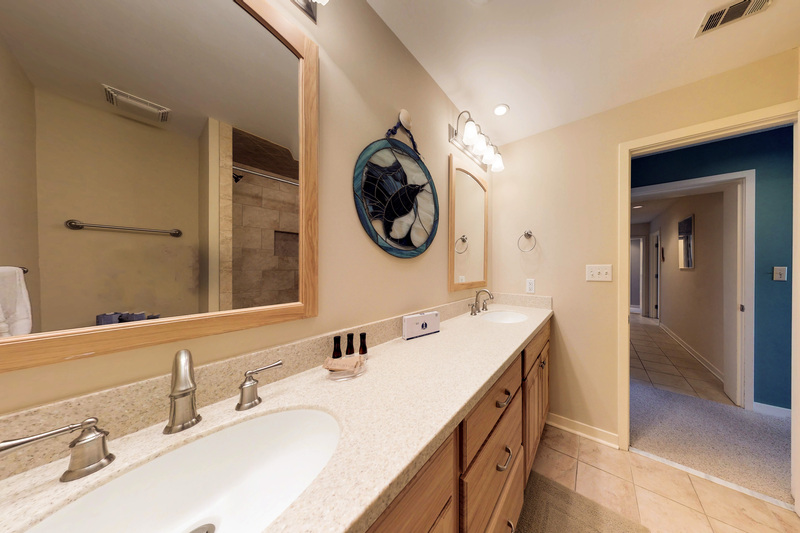 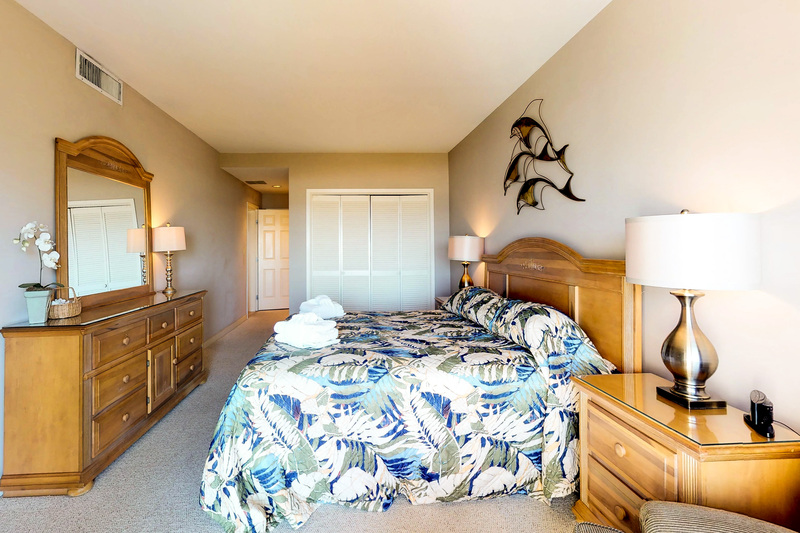 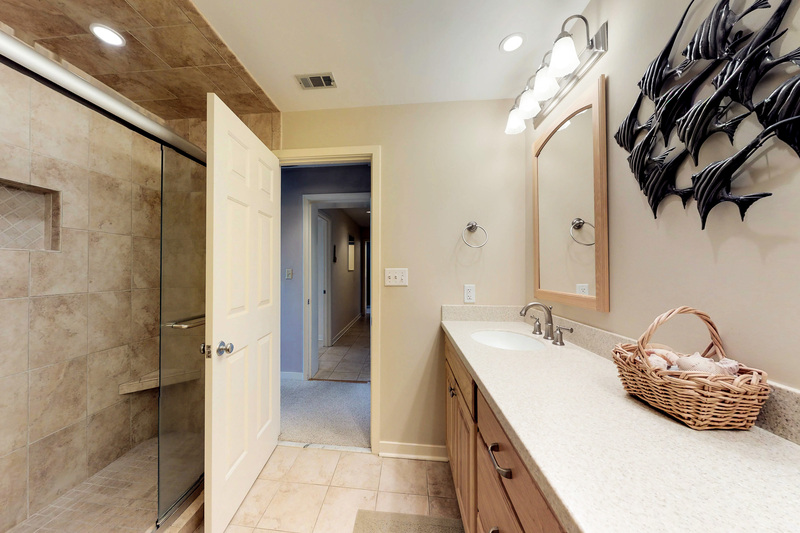 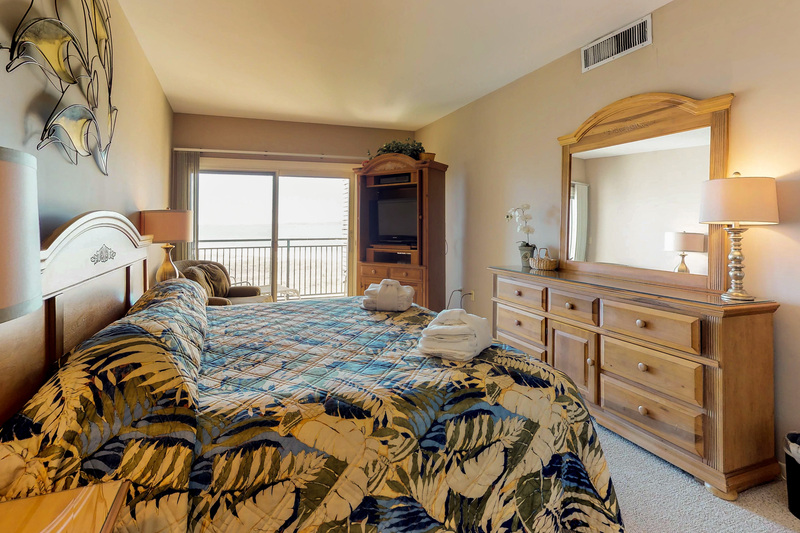 The master bedroom features a king size bed, TV, and a private bath with a walk in tile shower and glass doors. 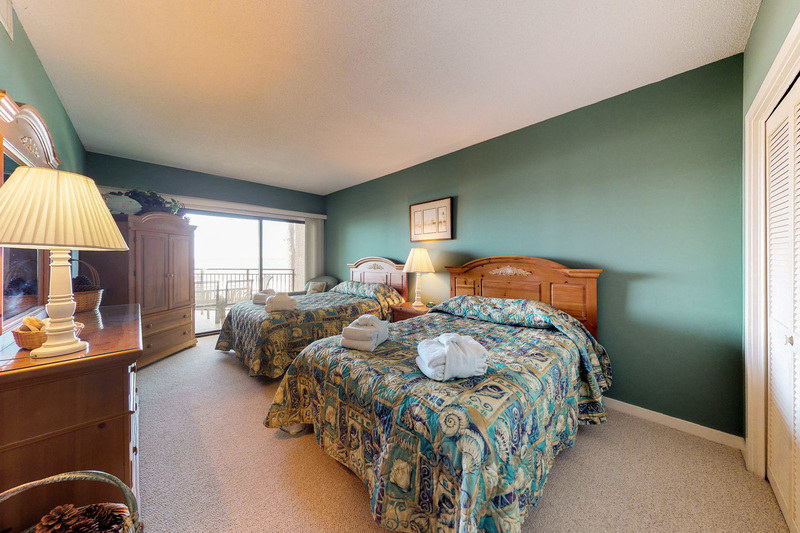 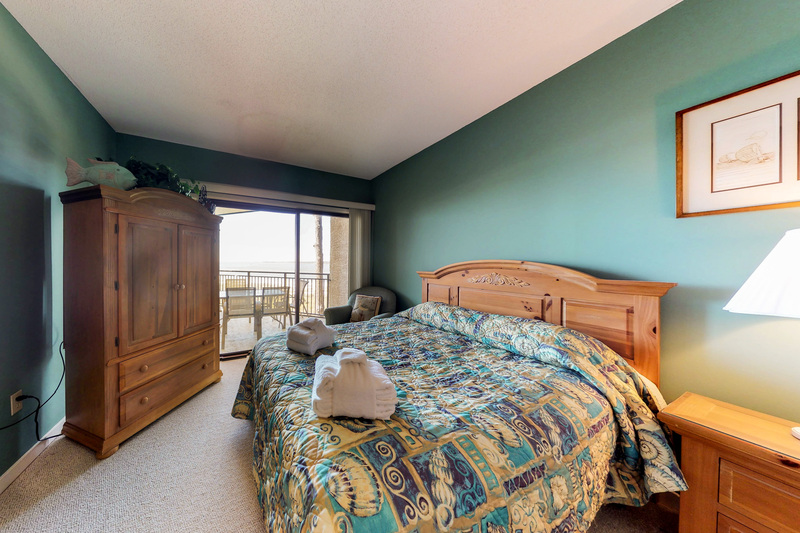 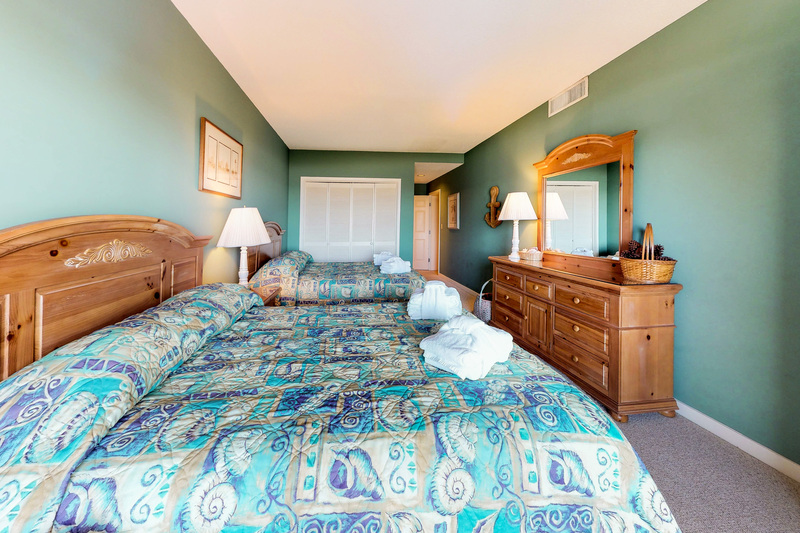 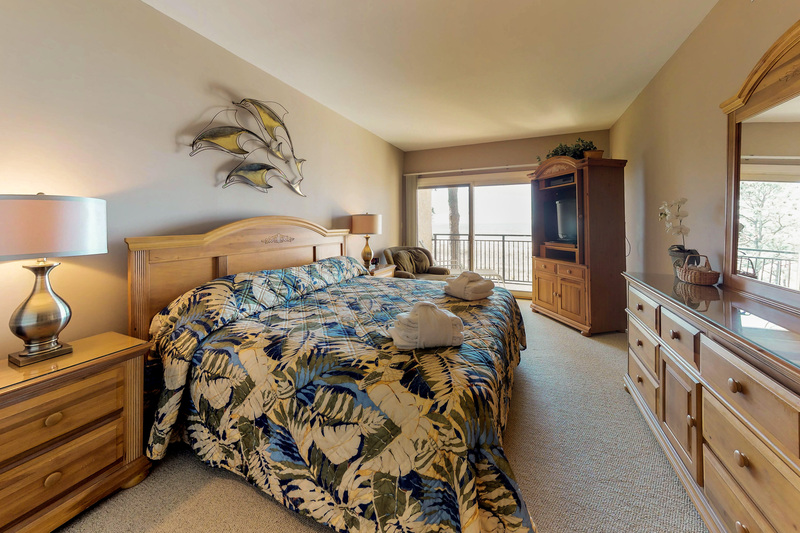 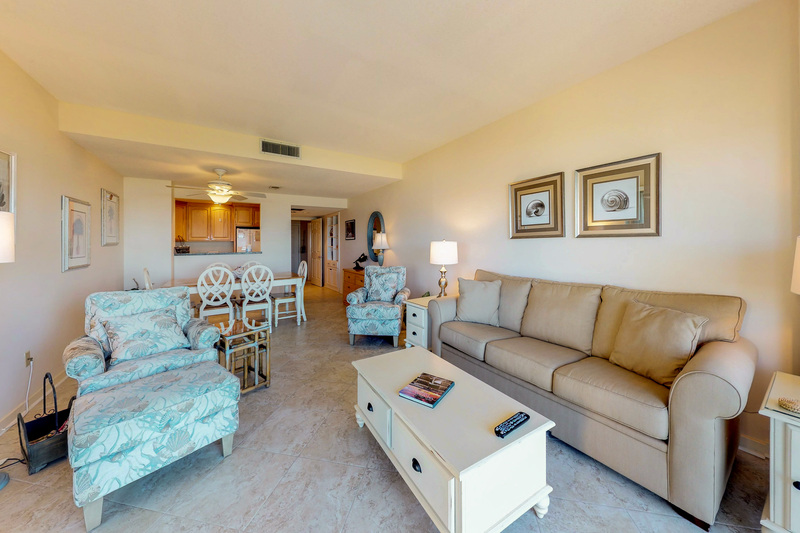 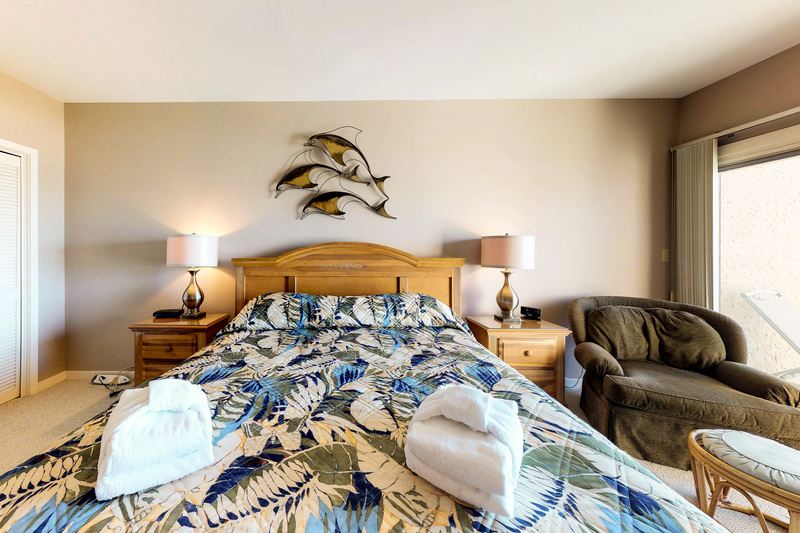 The master bedroom offers a private balcony with room for 2 to sit and enjoy morning coffee. 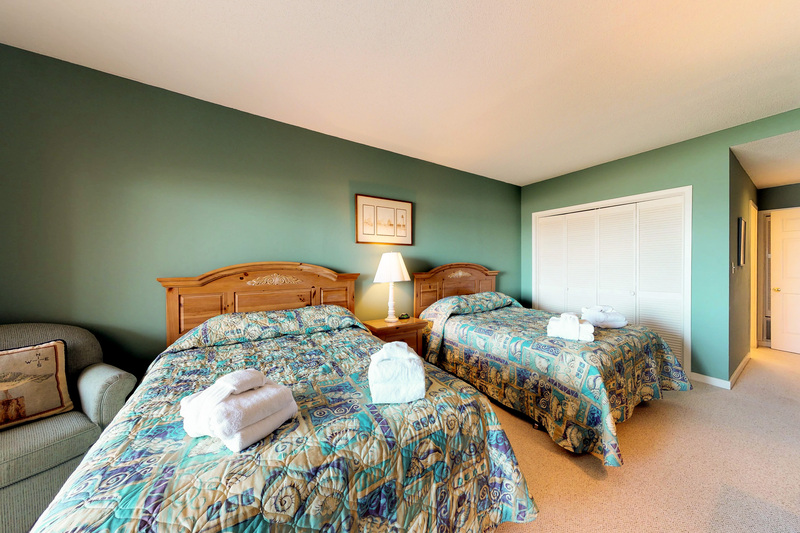 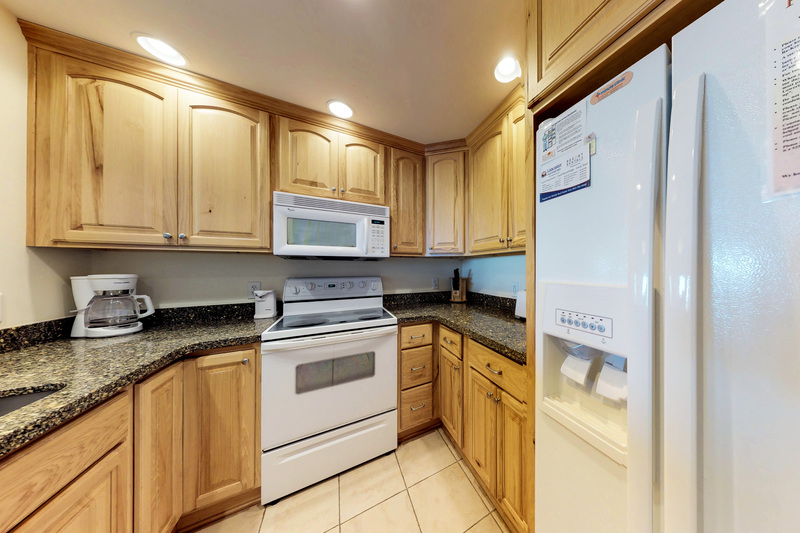 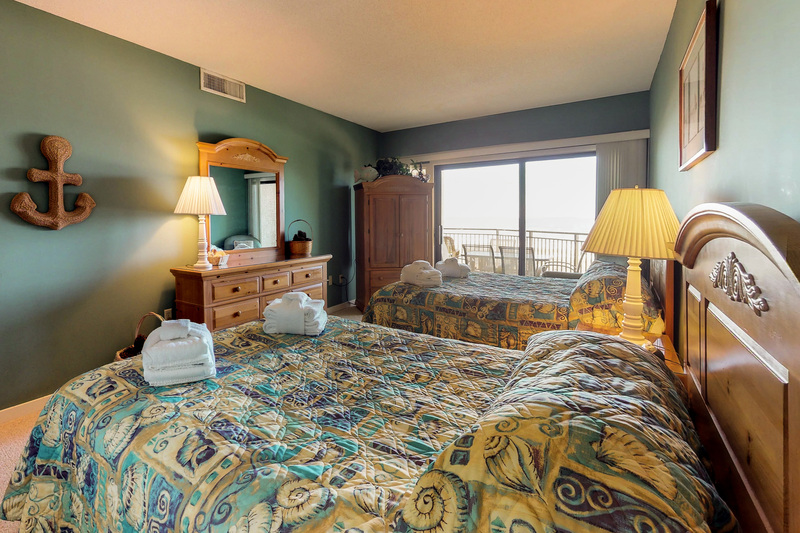 The guest bedroom has two queen beds, balcony access, and private bath with tu/shower combination as well.